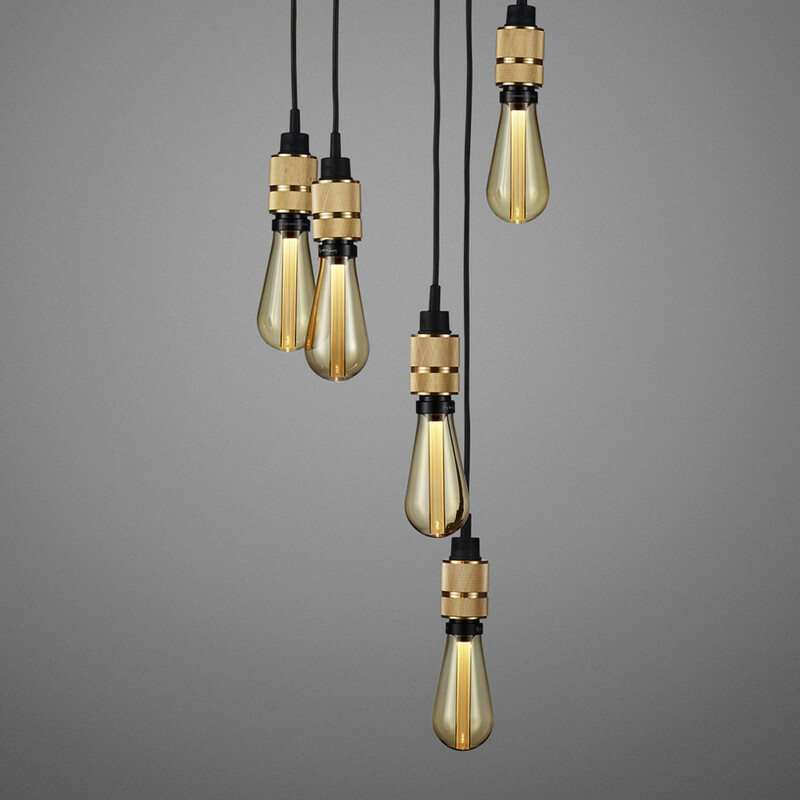 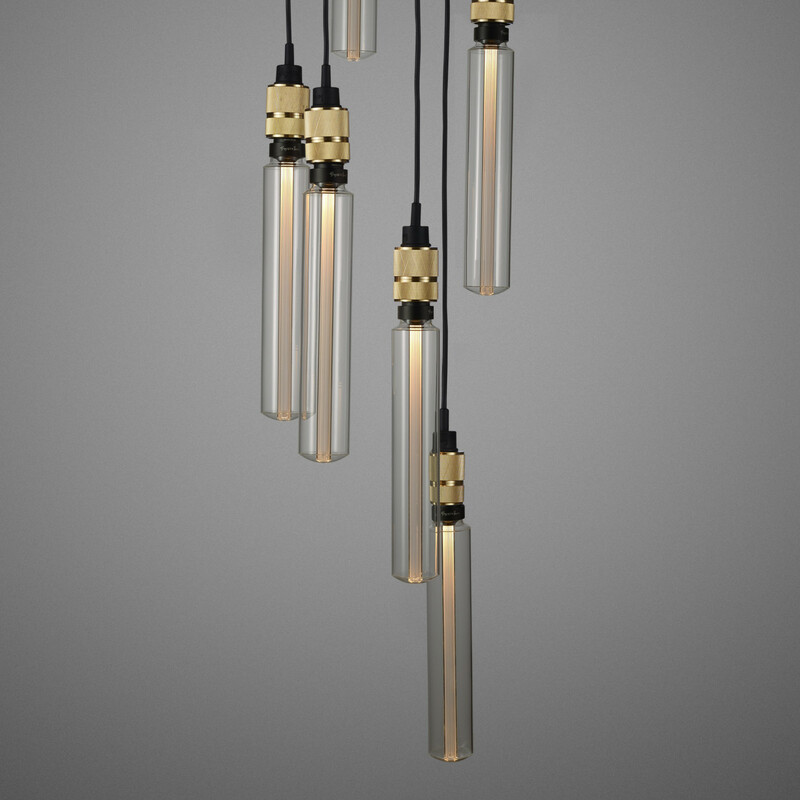 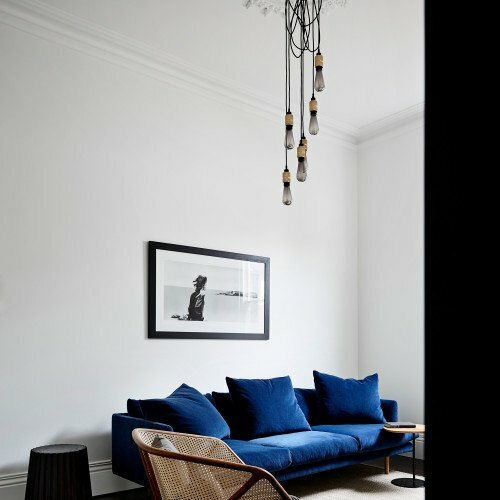 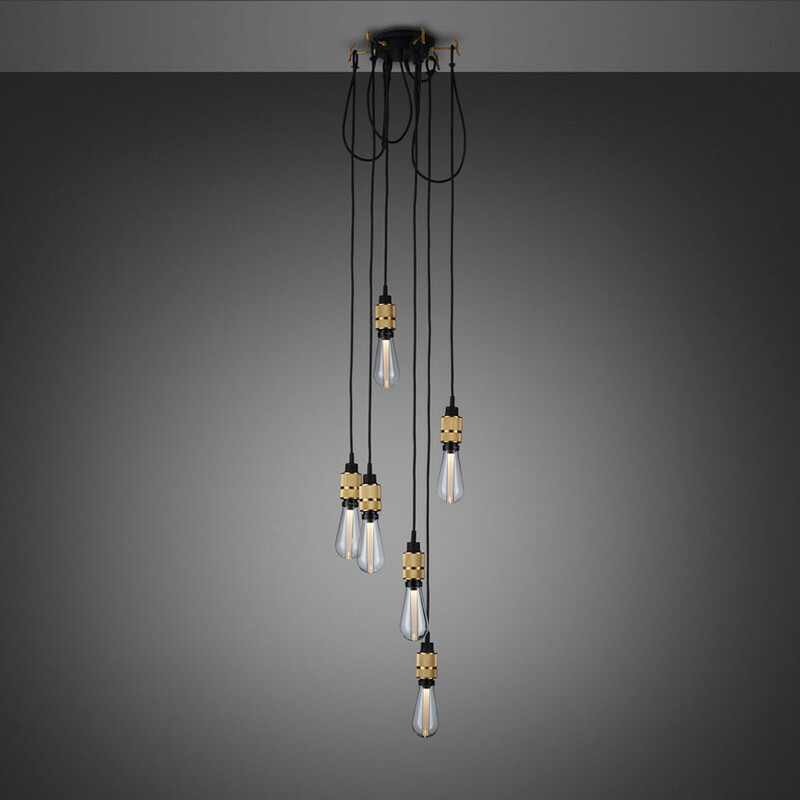 A chandelier made up of six BRASS light pendants, each with their own customising hook, and matte rubber detailing. 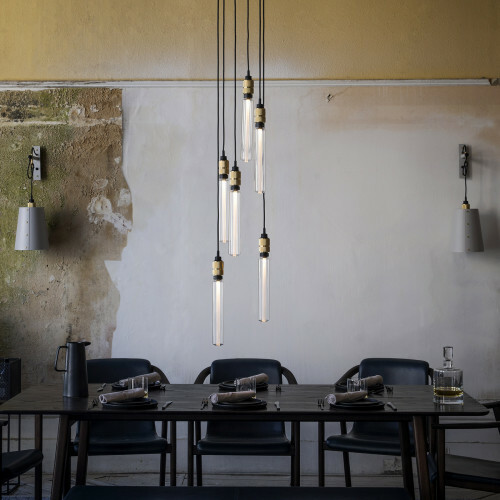 Each pendant length can be adjusted and hooked onto a solid metal hook screwed into the ceiling rose, ensuring a unique sculptural shape. The hooks can also be installed directly into your ceiling to spread the pendants out above any furniture you wish. 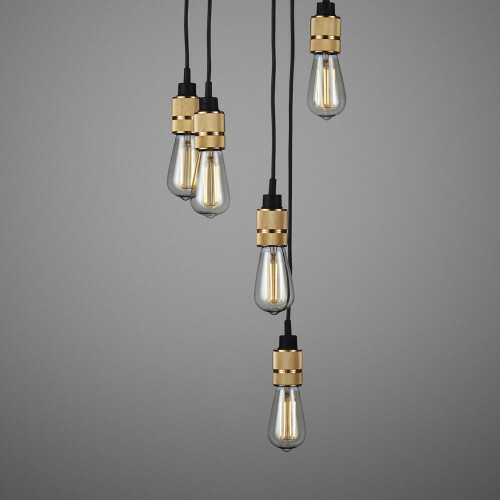 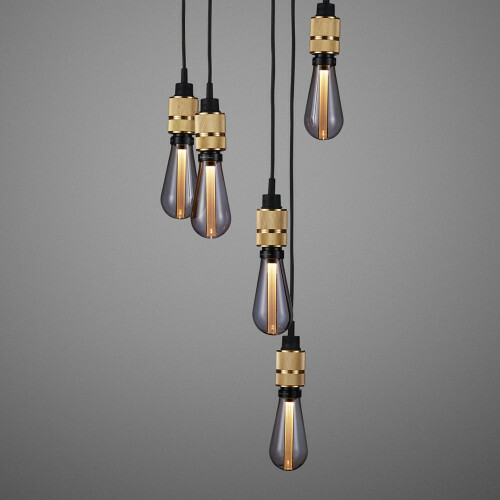 Available with a choice of light bulbs, when selected you receive 6 x light bulbs for the pendants. We recommend using a dimmer switch to get the best out of this light. This light is also available with either STEEL or SMOKED BRONZE pendants.